Glowing Skin Diet: What to eat to make your skin glow? A radiant glow on the skin is something everyone aims for, be it for a special photo shoot, or an important day at the office, or simply for a nice day out. Dull looking skin is a major blow to anyone’s appearance at first glance, and as much as we aim to not judge by appearance, it inevitably influences many decisions and assumptions we make. So everyone’s single most repeated question is about what makes our skin glow and what are some glow skin food that will help. There is no one who would decline a chance to get better looking, healthy skin with a natural glow. What makes the skin glow? A natural glow on the skin appears mostly when young and healthy skin is exposed to air and allowed to breathe. This means that the pores on the skin are often clean and unclogged. Of the two types of pores present on our skin, it is the sebum-producing kind which influences the innate glow that people desire. There are pores on the skin, mainly tiny hair follicles called sebaceous glands(1), which are known to produce an oily substance known as sebum. In right amounts, this sebum on the face helps give it a healthy glow and stops the skin from seeming dry. Dryness is one of the primary reasons for a dull looking skin. So anything that battles dryness of the skin can help towards glowing skin. One thing to keep in mind is the fragility of skin, and how easily it can be affected by external influences that can make it look dull and even damaged. Sun exposure, hectic lifestyles, improper care and sleep patterns, and smoking are large contributors to dull and unhealthy looking skin (2). However, your diet plays an even bigger role in how your skin looks. How to glow skin naturally? Fortunately, glowing skin is something we can highly influence and gain through home remedies and small changes to our lifestyle and diet. This is even without the help of a dermatologist. A healthy diet inclusive of certain fruits and vegetables can show a lot of improvement in your skin condition. These include fruits like oranges, papaya, banana and even guava. Such fruits which are rich in vitamin C are known for their collagen producing property, By boosting the production of collagen, they help in keeping the skin young and supple looking. Collagen is the major structural protein that makes up our skin, so it effectively acts as a counter against signs of aging like wrinkles and fine lines. Fruits also tend to have the ability to flush toxins out of the system, and since toxins are often the reason for unhealthy looking skin, removing them from our body will show an immediate improvement in our skin condition. As for vegetables, carrots, bell peppers, and other green leafy plants are suitable dietary supplements for glowing skin. Any vegetable with antioxidant properties is very much needed for healthy-looking skin. Green vegetables are generally very good at oxygenating our system, increasing oxygen supply to more skin cells. This, in turn, leads to better rejuvenation and cell regrowth. Healthy looking skin always arises from healthy skin cells that make up our skin. Additionally, protein providing diets can also help in achieving glowing skin because proteins like collagen are necessary for renewing skin. There are certain nuts that can boost glowing skin, and a prime example would be almonds. It contains antioxidants which help in cleansing skin, by ridding the body of harmful free radicals, as well as toxins. Apart from that, almonds are also a rich source of vitamin E with alpha-tocopherol (3). This vitamin is vital in nourishing the skin, naturally moisturizing it as well as lightening the skin tone. How to get glowing skin in one day? The secret to any healthy way of achieving glowing skin is to understand that it cannot happen overnight, and if it promises to do so, it most often would have undesirable side effects. The beauty of a healthy diet is that it works slowly but well. There are several face packs and options available in the market that promise to provide a glow within hours. The aptest action to take would be to consult with a dermatologist before deciding to use such products. One main thing we should do before trying any solution out would be to identify our specific skin type. 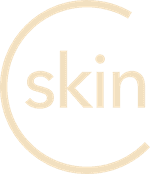 Only by knowing whether you have a dry, oily, normal or combination skin tone can you decide what treatments may suit you. Is it possible to get glowing skin by Yoga? There are various yoga postures and practices which do indeed promise glowing skin and people have proclaimed its effects. An advantage of trying out yoga for healthy glowing skin is that there are no side effects. The only thing to ensure would be that you do the postures correctly and practice yoga the right way, under the guidance of an expert. Want beautiful, glowing skin? You don’t have to look any further. Download the CureSkin App now by clicking here to get flawless, glowing skin. It’s easy, fast and affordable!